You are here: Home / ACT / What Are The Advantages Of Getting High ACT Scores? Increase your chances of getting into the college or university of your choice. Increase your chances of getting a scholarship. Find a course that is right for your through the ACT Profile. But if you want to get the real benefits of the ACT test, you have to get a higher score. You might be wondering “what is a good ACT score?”. What is the measure that will make your dream of entering a prestigious college and getting a well-merited scholarship come true? Read on and you will find out. 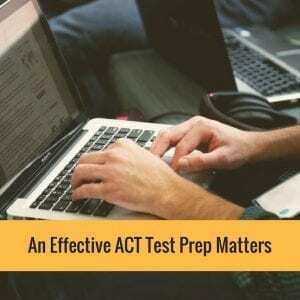 ACT, Inc. administers the ACT test and the ACT scores. Formerly, this department is known as the American College Testing Company. The ACT test started way back in the 1950s, and it has become a measure of the capabilities and probable success rates of students (particularly freshmen) as they gain admission to the colleges they have applied to. The ACT test has been considered as a standard to gauge the competence of incoming freshmen. A higher ACT score basically means better aptitude. Students who score high on their ACT are deemed to perform well in college. Thus, they are warmly acknowledged and accepted in the colleges that they apply to. Other than these, what are the significant advantages of getting high ACT scores? 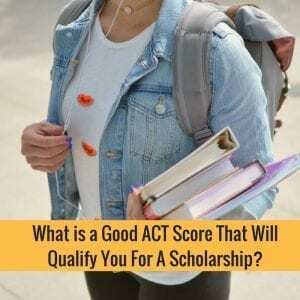 What Is A Good ACT Score That Will Qualify You For A Scholarship? For one thing, if you get a high score in the ACT, you can have the chance to receive $10,000 worth of scholarship funds. Getting a score of 25 and above can make you qualified to be a beneficiary of exceptionally good scholarships. For ACT scores of at least 29, for instance, students can obtain $5,000 to support their studies as offered by the Belhaven College in Mississippi. Additionally, scores in the ACT that do not fall below 27 can have first-year students benefitting from Bluffington College’s (in Iowa) $10,000 worth of scholarship grant given every year. Students with an ACT score of 28 points can enjoy the $10,500 scholarship offered per year as well by the Illinois Wesleyan University. The scholarship amounts that can be availed of by students with high ACT score basically vary from one college to another. There are particular standards set by different colleges pertaining to their academic scholarship programs. For most colleges, full scholarship that includes tuition and housing is available for students who have achieved an ACT score of not lower than 25 and a GPA of 3.5. Students who have obtained at least 21 points in the ACT can also benefit from partial scholarships. Students who are eligible for a “full ride” scholarship that has their free book allowance, tuition, and housing covered should have ACT scores of 26 and above. If you are interested in scholarships, it’s best to check with your prospective colleges to know their criteria. Again, the standards vary from college to college, wherein some base their decision mainly on the ACT scores alone, while others may also require a higher GPA and extra-curricular activities. So much potential actually rests in a high ACT score, that’s why it is important to thoroughly study and prepare for that test. Consider that the ACT test does not exclusively measure the intelligence of a student. Rather, it is meant to signify how competitive a student will be in a college setting. Get started with an ACT test prep program several months before the deadline for the registrations and the test day itself. Three to eight weeks following the test, the ACT office sends out the scores to the chosen colleges and universities of the test takers. If you want to get a good college education but lack the means to do so, you can apply for an ACT scholarship. However, take note that you should be able to get a high ACT score. If you happen to get a low score, one significant perk of the ACT test is that you can always retake it. You are allowed to take the ACT test for 12 times until you achieve the high score that you desire, but you have the option to choose which of your scores to send to your prospective colleges, too. The recommended number of times to take the ACT test is usually one to three times. It is recommended for high school students in their sophomore and junior years to take the ACT test. This way, they can have enough time to study and review it and enough leeway to take the test again. With the help of ACT prep services and programs, it is possible to ace the ACT test. The high score that you obtain will bring you benefits not only in school but when you apply for a job as well.